My name is Ashley. I am writing to you for two reasons. First, to let you know how much I love your product. I am a senior in High School in New York and will be playing college softball at LIU Post. Unfortunately, in October hurricane Sandy destroyed my home and all of my softball gear. We are still in the process of rebuilding. My father, purchased a Power Drive from your company last year. I tried to salvage it but it started to rust due to the salt water. By any chance, do you happen to have a used or demo model that I can use to replace my old one? My high school season just started in the middle of March and it significantly helps my performance. Anything you can do would be greatly appreciated. Thank you. We wanted to follow up with you in regards to your Softball Power Drive. Once again, we are very sorry to hear about your unfortunate circumstances, and we hope things are shaping back together for both you and your family. 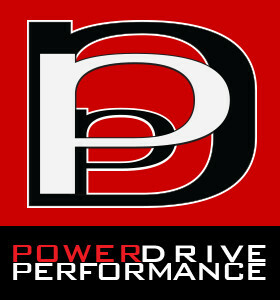 Our Power Drive products are built to last, and we want your Softball Power Drive to be able to last you a lifetime. Every athlete deserves the best opportunity and training, regarding their circumstances, and because of that we are going to ship you a brand new Softball Power Drive. If you could please e-mail me the best address to ship the SPD too, we will ship it out today, and you will have it by tomorrow since we make and ship our units from Boston. Everyone here at Power Drive wishes you the best of luck at Long Island University. They have been using our Softball Power Drive for over 3 years, and have been great to work with. When you receive your SPD, be sure to take a look at our Owner’s Login for all of our up to date drills and videos. We have added a significant amount over the last few months that I am sure you will enjoy. I know that you spoke with my father and he gave you the shipping information but I just wanted to thank you myself. It really means so much to me and my family. Prior to the hurricane I used the Power Drive every day and it really helped improve my pitching. It is an amazing training tool. I honestly cannot thank you enough. I will be sure to check out the Owner’s Login once I receive the Power Drive. Once again, thank you so much. Ken wins on 2nd sudden death hole. Hey Brad. Just wanted to send you a quick note thanking you for working with Jackson. He had a great time and we both learned a ton. The whole trip was amazing. Fenway is a magical place and we enjoyed meeting John. Hopefully we will be back up to see you in late December during Christmas break or sometime shortly thereafter.